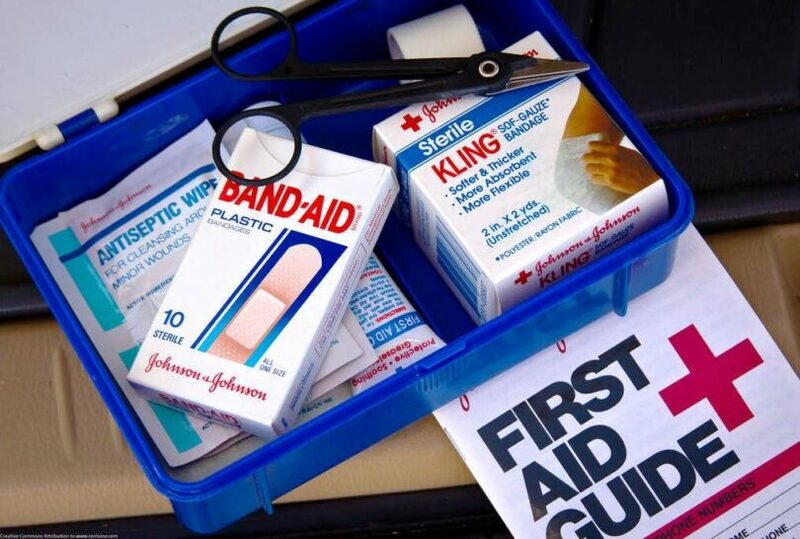 Getting the best first aid kit may be ideal if you are preparing an emergency kit, outdoor survival kit and any other purposes you may have. As you know, one of the best skills we always mention here is that everyone may want to learn of survival skills in order to deal with any emergency, such as injuries and accidents, and one of the most important survival skills is to gain first aid knowledge. And if you already have it, then it may be time that you prepare a first aid kit for you so that you can use it during emergencies, no matter you’re at home, in the office, in the car or in an outdoor adventure. Check out the following guide for some of the best ready made kits on the market and later on learn of some tips in selecting the right kit for you. 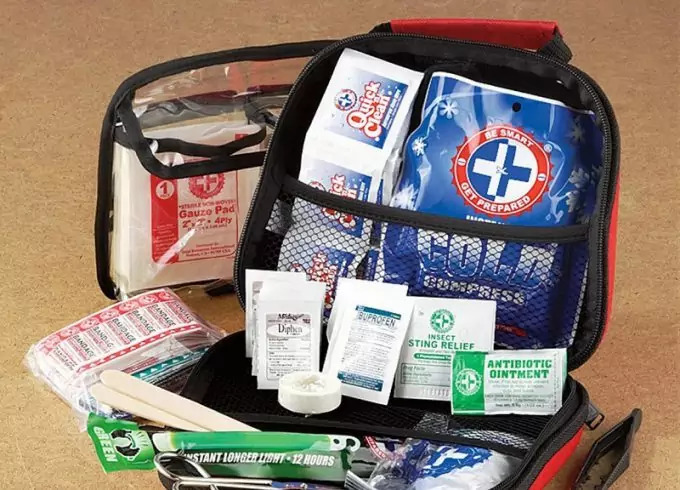 This 100-piecoe first aid kit includes all the essentials you will need. It comes with a durable nylon case, making it ideal for storage in the kitchen or in the car. You can also depend on its portability for camping, travel and hiking. Not only you can have it at home, but you can also have it in the office. In short, this product is ideal for all your survival, emergency and home needs. 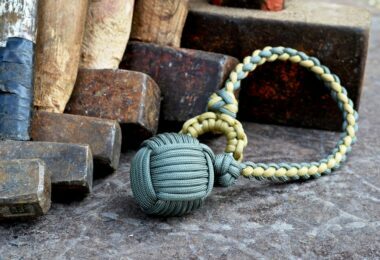 And because the maker Sarah’s Source LLC listened to the feedback of customers when it comes to the durability of the kit, they have upgraded the kit with better and more items. They now include stronger metal scissors and tweezers and better compass to use. Some items included in this first aid kit include sting relief pads and antibacterial ointment. 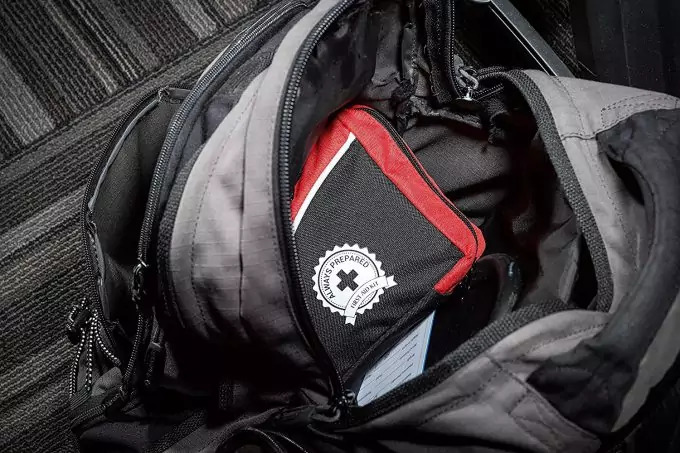 Users revealed that they appreciate the product’s hard case that lasts forever, and they love that they are able to prepare their emergency supplies all-in-one package. 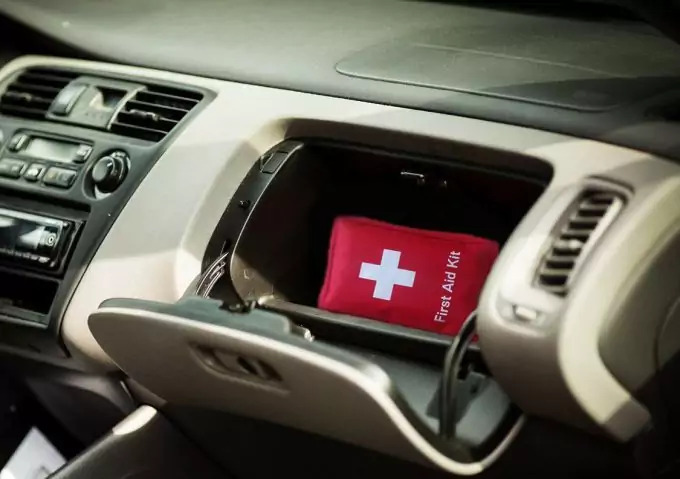 Compact and lightweight, the AAA first aid kit is ideal for home, car and outdoor. If you were planning to go camping or hiking the coming weekend, do not forget taking it with you. The kit that comes with clear pockets for easy identification of items you will need and has a carabineer to clip on your backpack or belt. On the average, the product garners 4.5 out of five possible ratings from 242 reviews at the time of this writing. It comes with the essential first aid items you could think of, according to customers. On the downside, one customer noted that the kit is cheaply crafted, especially she has received a kit with medical red cloth packaging and not the product description’s clear plastic. The entire kit, overall, receives positive feedbacks from current customers and that they appreciate how the entire pack is able to accommodate their needs, especially when they’re out for camping, hiking and hunting. 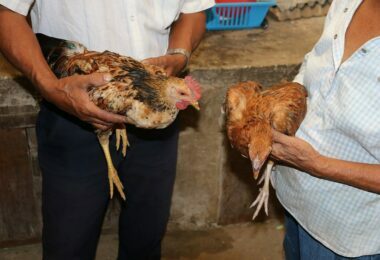 Many of them noted that it is a good buy for your need of an emergency needs. 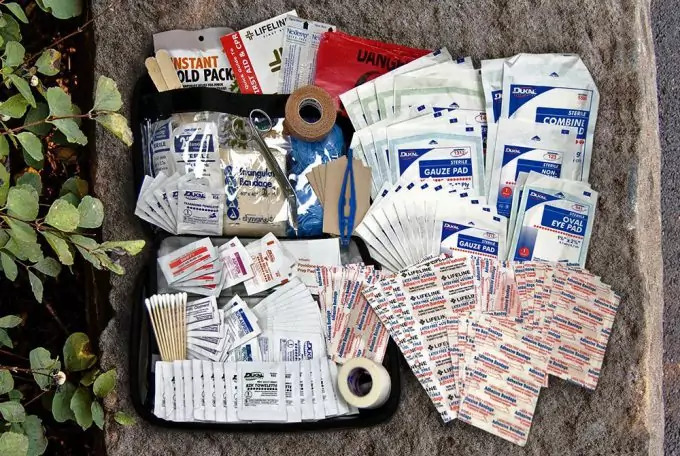 A 205-piece medical kit by Coleman, it is one of the top selling kits on Amazon that also garners mostly positive reviews from satisfied customers in the world. This product is suitable for larger groups and longer trips because it includes almost everything you will ever need to keep yourself and your family safe during emergencies, especially when you’re out camping or hiking with them on the weekends. This product contains the most essential components you would need when out in the field. And for your convenience, the product can be easily stored in your backpack, includes a razor blade and a cold pack and has a semi-hard case. According to many customers, the product is suitable even for large groups, especially outdoor adventure groups. They are saying that this kit is very suitable for their needs, while it keeps up with anything due to its semi-hard case. They can also take advantage of the EZ Find System Feature that keeps all the first aid items in a very organized position that lets you find what you’re looking for easily. Many people also sat that this kit gives them the opportunity for customization, helping them to get what they need for emergencies. Overall, the kit is an all-in-one solution for everyone and is perfect for cars, homes and offices. The product receives a general feedback of 4.4 out of five possible scores, taken from 168 reviews. Founded in 1974, the Medique Products Company keep up the tradition of coming up with dependable first aid products and medical supplies. They have been a known brand in the medical supplies for offices and industries. Through the years, they have developed more than 3,000 first aid variations as well as medical products. This package, in particular, contains 5 bandages, 15 medium butterfly closures, a tape, five pieces of cotton tips, a first aid guide and 2 pieces of 2 feet x 2 inches of gauze pads, a gauze roll, two finger splints and two vinyl gloves. It also contains six pieces of alcohol prep pads and three pieces of sting relief pads. For its pros, users appreciate that it’s lightweight and portable, letting them experience the convenience of taking it with them on trips, hiking and camping. Many of them also noted that the product contains all the essentials they need for an emergency kit. On the downside, one user noted that its contents only contained items for treatment of minor wounds. And one user also noted that it might be better to settle for a larger scale kit. Overall, the general public consensus is that the product is a good buy despite lacking some of the other essential items they need. Makers boast that this product is a complete first aid pack with all the items that customers would ever need for emergencies. The kit comes in a water-resistant canvas bag, making it ideal for travel and outdoors. Many of the current customers noted that the kit is a good must-have that keeps up with their family’s needs. They also appreciate that the product contains the important items they would need for emergencies. It comes in an attractive and classic pack and easy to identify contents and is perfect for the kitchen, car and office. Many families can also rely on this product to bring when going for hunting, camping and hiking. It also comes in a bag with clear pockets for easy identification of items and is very easy to carry for its lightweight design. Overall, it receives a general feedback of 4.8 out of five possible scores from 96 reviews, as of the time of this writing. 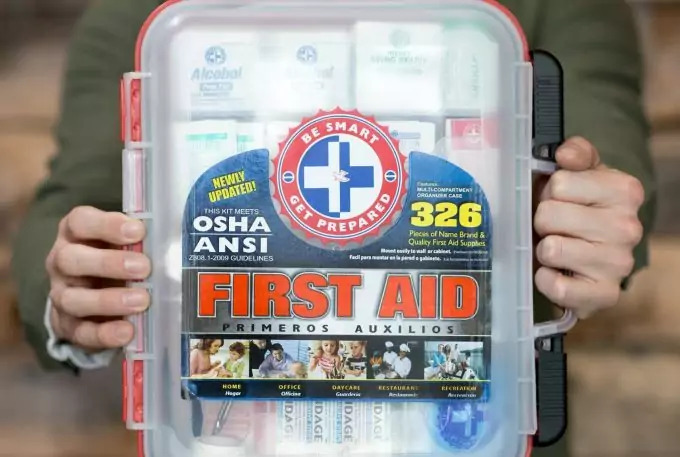 A 326-piece first aid kit, this Total Resources International product passes the standards of ANSI and OSHA guidelines, making it an ideal choice for disaster preparedness and workplace. It comes in a red package and easy to identify design. This is a must-have outdoor gear you would need for your survival in times of emergencies. It also features a well-organized and complete first aid kit for use in treatment for your different needs. For its pros, the kit exceeds the expectations of OSHA guidelines for most small businesses as well as it meets requirements of both ANSI I & II. It is easy to use and is dependable for many situations; in fact, it can also be stored and mounted easily without any hassles. The kit contains 30 pieces of antiseptic small towels, six pieces of sting pads, 30 alcohol pads, six antibiotic ointments, three piece of hand sanitizers, six pieces of burn cream, 10 pieces of antacid tablets and 10 pieces of aspirin tablets, among others. For user ease, the kit also comes with an easy to follow guide that lets users deal with any emergency situation guided. Apart from such items mentioned, the kit also comes with one piece of instant cold compress, five pieces of adhesive bandages, 10 pieces of butterfly bandages and two pieces of eye pads. It comes with all the essentials for an outdoor gear survival kit as well as for emergency kits. Many users appreciate that it’s a high quality product that gives them the most bang of their buck, saying that they cannot ask for anything more when it comes to the completeness this kit offers them. For its downside, one user noted his bad experience of this kit. He ordered it January 2012, but the expiration of the package he received was August 2012. In this case, he thought that the company was getting rid of surplus items or old stocks. Nevertheless, this kit is one of the most comprehensive and organized ones we have ever found. To make sure you’re not getting an old stock though, you may want to contact the seller directly before placing an order to ensure they would ship you with a new kit with good items. A product from Adventure Medical Kits, it is one of the most dependable first aid kits sold on the market today. The product is easy to use and store and can be seen even from far away with its very easy to identify packaging. It is ideal to give care for the entire group, especially during emergencies, such as fractures and sprains. It can also help in managing illnesses and pain and can withstand any weather elements. The kit is good looking and comprehensive, containing all the essential items needed for medical applications. According to user opinions, the kit is ideal for camping, hiking and hunting as well as for home, car and office. Based on a general consensus, it is a dependable kit that can work for many applications, as it also includes essential emergency items. 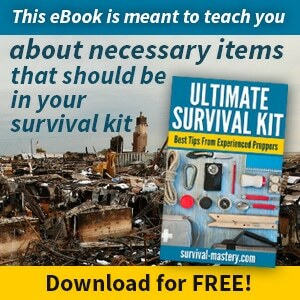 The entire kit is perfect for emergency and survival situations and one can include it in his outdoor survival gear’s list. On the downside, one user revealed that while it looks very nice, it does not contain all of the items he was expecting from it. He also noted that the items seemed inferior and did not match his standards. And while it includes medical tape, Band-Aids and adhesives, he said that the kit was low beyond his expectations. Nonetheless, the kit receives mostly positive user reviews from Amazon and from other online stores. And with the value it offers, there is no doubt that it is one of the most comprehensive kits today. 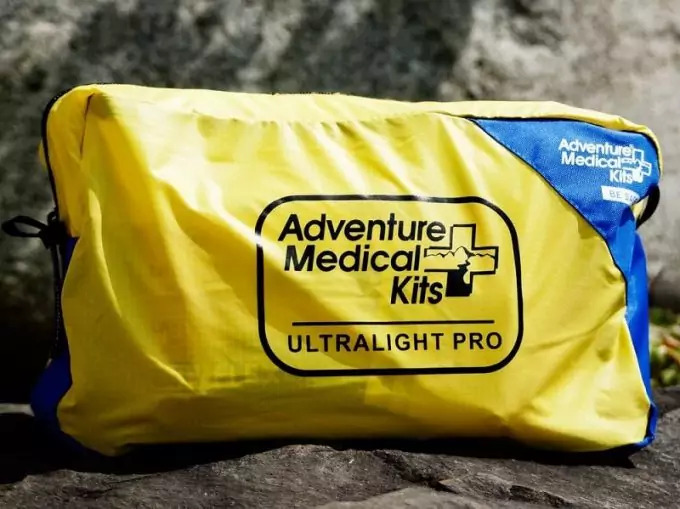 Another from Adventure Medical Kits, it is one of the top-selling medical kits available today and also one of the most appreciated by users from the US. The kit is packaged in a Dryflex bag, which is watertight and extra light, only weighing between six and eight ounces. It contains most medical items, including dressings for wounds, such as precut moleskins, bandages, gauzes and towelletes. For medication, the kit contains two pieces of ibuprofen tablets, two pieces of aspirin and two pieces of antihistamine tablets. In addition to these, the kit also contains two pieces of itch and bites relief wipes and two pieces of acetaminophen tablets. And to keep its items dry and safe, the kit comes with two pieces of Aloksak waterproof pouches. One thing that makes this medical kit quality is that it was tested even by top athletes, including Rebecca Rusch, Eric Simonson and Mike Kloser. It is also approved and tested by adventurers who participated in the Eco Challenge, Raid Galoiuses and Primal Quest, making it a reliable kit that most people can depend on. 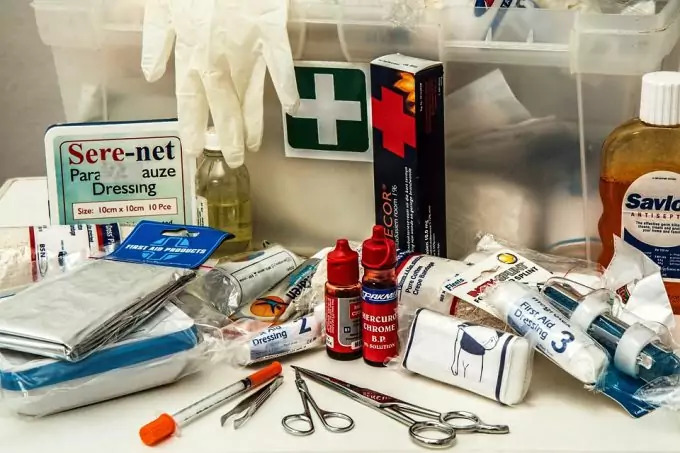 If you are an outdoor enthusiast or an athlete, you can depend on a kit like this that contains the items you will ever need during emergencies, such as injuries, cuts and wounds. That not only that the kit is ideal for active people, it is also perfect for families in order to keep safe when having an outdoor adventure, including camping or hiking. It also comes with an elastic bandage made more dependable with a Velcro closure and moleskin dressing that is ideal when treating blisters. It also includes a compression bandage and a trauma pad that families can use for treating bleeding and has medication for inflammation, diarrhea and allergic reactions. Another thing that makes it notable is that it comes with a wound irrigation system for cleaning and closing wounds. The product is one of the highest rated in stores because of its dependability and portability that many customers appreciate. On the downside, a customer noted that he was disappointed with his purchase because some of the medications included were already expired. He sent it back and had to build his very own kit with his medications. Whether you are building an emergency kit or a survival kit, it is paramount that you include a first aid kit to depend on during emergencies. As you know, knowledge of first aid can help save your life or the life of someone else, such as your family members when accidents or injuries occurred. And if you were one considering buying a readymade medical kit, you may be overwhelmed by the choices out there for you. 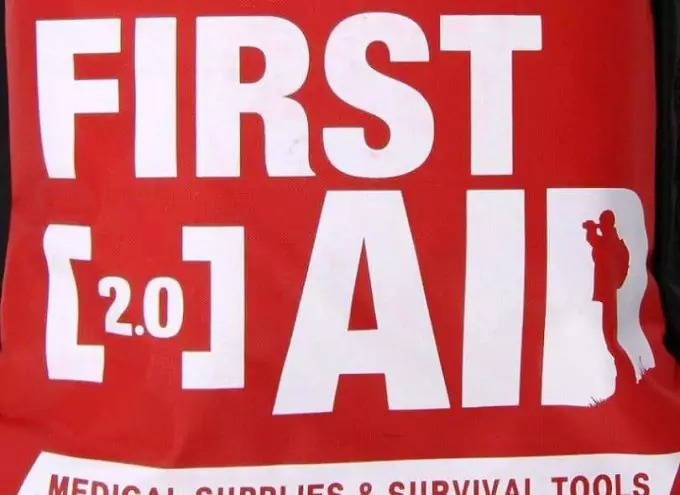 While we already highlighted top brands and products above, it may also be best to know about certain factors when choosing a first aid kit for your family or group, no matter what kind of situation, weather or terrain you are expecting. Being prepared for emergencies is always necessary to keep everyone in your group safe, no matter where you are—camping, travel, hiking, hunting, fishing or home. Remember, there are kits designed for action sports, while others are for home, car or office use. Nevertheless, choosing must be first factored based on your specific needs, meaning you will have to determine the different types of supplies and items you will need your medical kit to have. In short, selecting the medical kit for you should be based on the exact demands and needs of your family or group as well as according to the terrain, weather or situation you are expecting. Check out our reviews of the best camping first aid kit for more information. You don’t have to settle for complicated kits available if you need coverage for your basic needs. 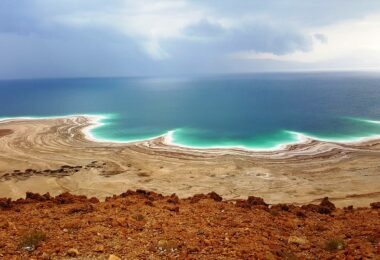 First thing is that you have to make sure you will have a safe adventure, no matter the level of danger anticipated in the outing. At the very least, you will need enough supply of ointments, bandages and tweezers you will need for treating basic injuries and wounds. Do read our important article on how to determine if a cut or wound is infected, it’s a must-read for everyone. All these supplies and others have to be with you always when traveling. Bringing these items will keep you prepared for any minor wounds you will need to treat. Remember, even small issues like wounds and cuts can turn into a major health problem if you won’t be able to deal with the infection before it comes. Remember, do not head out an adventure if you don’t go through a complete checklist of the risks you might face in the trip. When you already determined what to expect, start looking for the essential items that a good kit should have, keeping you and your loved ones safe the entire trip. For hiking, one of the main risks for this outdoor activity is your feet. So aside from the medical kit you are to bring, you should also wear a good pair of boots, providing your feet with comfort and support for the entire trip and preventing your feet from any blisters. 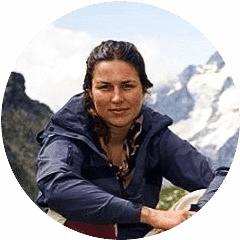 And aside from wearing sturdy boots when hiking, you will have to make sure that your medical kit includes ointments, antibiotics and moleskins. For one, moleskins can provide instant relief from blisters because it can serve as a padding to stop blisters from bursting, while ointments and antibiotics can ensure that you would be free from any infections that the blisters might bring. Apart from these items, make sure that your kit, when going hiking, includes dressings for blisters, especially ideal when your footing gives out or if you have twisted an ankle. For climbing, one of the risks is your hands that need most protection from cuts. Even if you would wear gloves, your palms and fingers as well as your wrists are more likely to end with bruises and cuts before reaching the top of the mountain. In your first aid kit then, make sure that you bring some gauzes and bandages so that you can wrap your hands, fingers or wrists in case they suffer from cuts when climbing. Aside from gauze and bandages, don’t forget to bring an athletic tape for wrapping your skin when they got rips on the rocks, causing flappers around your fingers. 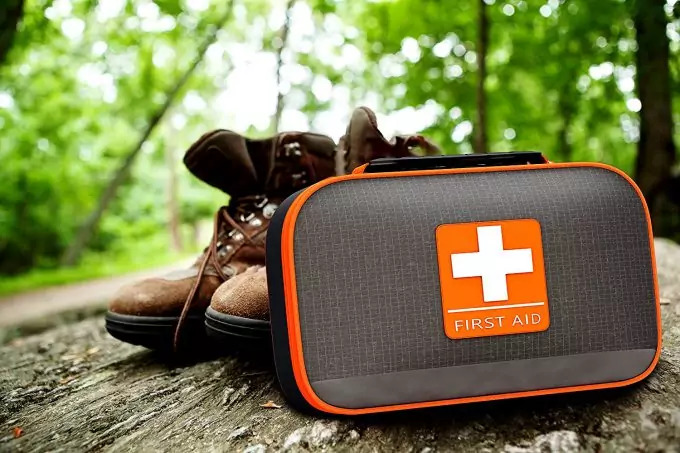 Before packing a first aid kit for camping, you should take the surrounding area and the camping site into consideration so that you can personalize your kit with the items to use in emergencies you are more likely to face in these places. So if the campsite is close to a large population of bees, you should bring bee sting pads in your kit. Aside from bee sting pads, you will also need to bring anti-allergy medications, especially if you know yourself to be allergic to bee stings. In the event that the medication does not work, you will have to seek medical help right away. Now if you are going to a site where many ticks are, see to it that you take a tick removal kit in your first aid kit. Remember that if you have exposed skin and you will be walking along tall grasses, you are more likely to catch the attention of ticks, which you have to dig out immediately. Briefly, these are the things you will have to consider when choosing a medical kit. The bottom line is that you select a first aid kit that contains all the items you will need for specific terrains and purpose. And while prepackaged options can be ideal for any trip, it may also be good if you would be able to add some other items not already in them when going for specific trips, such as camping, hiking and trekking as well as outdoor sports. Finally, feel free sharing this guide to your close circles if you find it useful. Don’t forget bookmarking it, too.